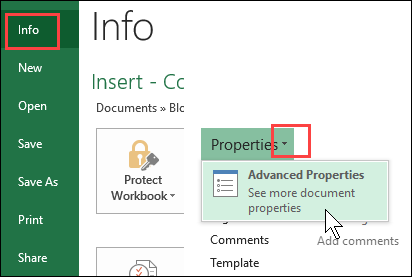 How to change a property setting in Excel, so you can see an Excel Preview picture when opening files in Windows Explorer. This feature has changed significantly from how it worked in earlier versions. For earlier versions of Excel, see Picture Preview - Excel 2003 to 2010. When you're opening files in Windows Explorer, you can see a list of files in the selected folder. There are options for viewing the list, including Details, List and Preview. 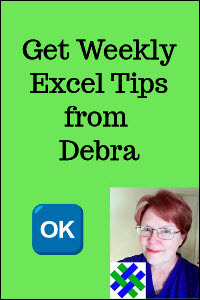 This article explains how to change one of the property settings in Excel, so you can see a small screen shot of the file contents, when you select a file in the Windows Explorer list. NOTE: In earlier versions of Excel, a Preview Picture was also available in the Excel Open window, but doesn't work in the current version. The first step in changing the Preview Picture setting is to open the Properties dialog box. The next step is to change the Preview setting. 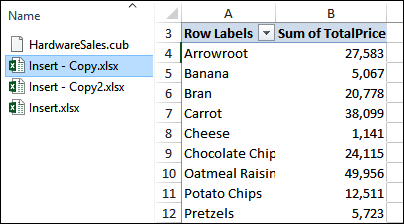 This change will affect ALL Excel files - you can't change the setting for specific files only, as you could in earlier versions. 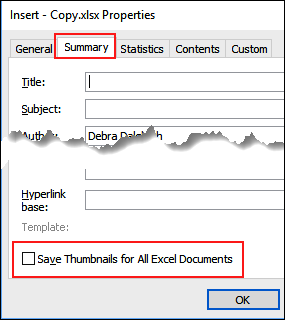 At the bottom of the tab, add a check box to "Save Thumbnails for All Excel Documents"
If you open files within Excel for Office 365, you can see file thumbnails, but the Picture Preview doesn't work. 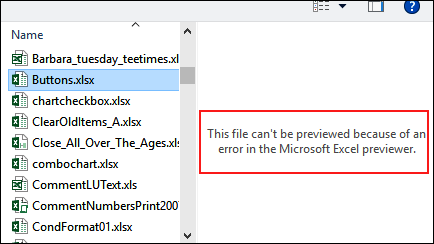 "This file can't be previewed because of an error in the Microsoft Excel previewer"
There is a Microsoft support article that says you can't see previews for Excel, Word or PowerPoint, within their own programs. To see an Excel file's preview picture, could view it in the Word or PowerPoint Open window. That's not too helpful! You can also see preview pictures in Windows Explorer, as described in the next section. 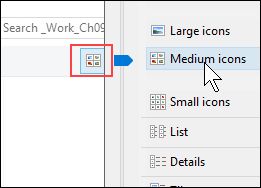 However, you can see the preview picture in a custom thumbnail, if Excel's Open window is showing icons in Medium, Large or Extra Large size. To choose icons, click the arrow for More Options, at the top right of the window. 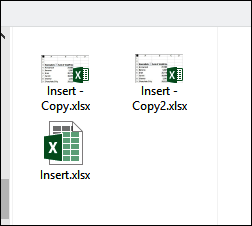 After the "Save Thumbnails for All Excel Documents" setting is turned on for all Excel files, you can see the preview pictures in Windows Explorer. At the left end of the Ribbon, in the Panes group, click on Preview Pane, to turn that pane on. Then, click on an Excel file in the file list, to see a screen shot of its contents in the Preview pane. 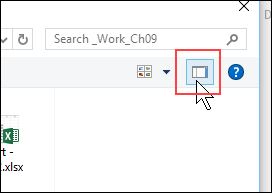 After the "Save Thumbnails for All Excel Documents" is turned on, you may also see a Picture preview icon if you send a shortcut to the Windows Desktop. Here is the original shortcut for a Test File workbook. And here is the shortcut icon later, showing a Picture Preview for the file. WARNING: If you turn on the "Save Thumbnails for All Excel Documents" setting, and then use the Picture Preview pane in Windows Explorer, you might notice some problems. When you click on an Excel file, to see the preview, an instance of Excel opens in the background. 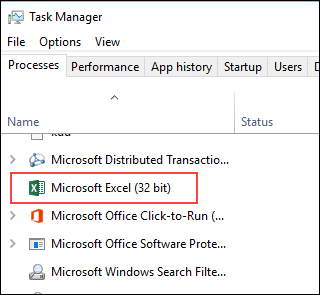 You can see that Excel instance, if you open the Task Manager, and check the list of Background Processes. While that instance of Excel is running in the background, you might see a "File in Use" message when you open Excel. For example, "PERSONAL.XLSB is locked for editing"